The tree is up and decorated, the Nutcracker army is on guard on the fireplace hearth (I think they multiplied in storage), the fridge is filled with a colourful and hopefully delicious variety of sweet treats and the first gifts have been lovingly wrapped with festive paper and matching bows and placed under the tree. Today’s falling snow, glowing fireplace and Christmas music playing throughout the house finished the picture ~ we are officially in the midst of the Christmas season. Which means that most television stations are now offering a plethora of Christmas specials and movies and I’m loving watching old favourites and new renditions. 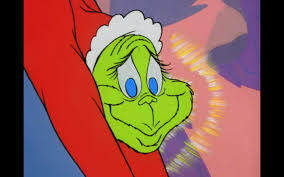 Whether the main character is a furry Grinch whose “small heart grew three sizes that day. 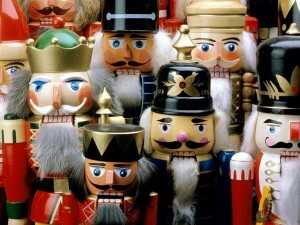 And then – the true meaning of Christmas came through, and the Grinch found the strength of *ten* Grinches, plus two!”, a sleep deprived miser named Scrooge or a lovable loser named Charlie Brown, whose attempt to find the perfect tree led to Linus’ King James version of scripture reading from Luke 2:8-14, the true meaning of Christmas is revealed just before the final credits begin to roll. In each of those stories, the cast of characters were constantly looking for the true meaning of Christmas in presents, lights, sixpence and perfect trees and not where it truly lies ~ something that not only fictional characters find themselves doing. I often wonder if we are guilty of that same misguided lens in the area of educational leadership. Do we solely measure the effectiveness of a school leader by the increase in test scores, like the number of presents under the tree? Do we focus so much on the financial resources, like Ebenezer, that we forget about the human resources? Do we honour and celebrate the glitz and glamour, like the lights of the season, even though it may lack depth and true understanding? This past Friday, a colleague took a group of students door to door to shovel driveways and sidewalks. When I think about strong educational leadership moves that quickly rises to the top. I’m not sure that their afternoon away from instruction was purposefully connected to improving math scores, but I have no doubt that the feelings those student received about being appreciated, will serve them well, beyond any standardized test. After you watch the video read some of the many comments from the Ingersoll community. The true meaning of educational leadership can’t be neatly wrapped with a pretty bow, nor measured by the number of green vs red markers on a moderated task. It needs to be an honouring of our past as we venture through the present and look towards the future. And one never knows who will inform our leadership ~ we need to be open to the possibility of a trusted friend, with a figurative security blanket, being the best source of inspiration. What is your true meaning of educational leadership? This entry was posted in Education, Partnerships, Volunteers. Bookmark the permalink. Thank you for the post, Sue! As with many things in education and beyond, things that are not easily measured are easily ignored. Similarly, this results in easy to score and track metrics like oral reading fluency and reading comprehension getting all of the attention, while other important aspects of reading education – like fostering a love of reading and appreciation for the written and spoken word – remain undervalued. 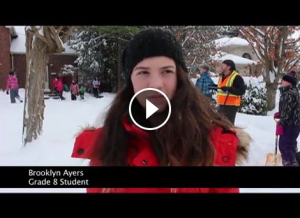 One important difference with the example you provided about shoveling sidewalks is that activities like that can gain media attention – much the same way that test scores can. Organizing events like that can raise awareness about the good a school does throughout a community. It is a short time after the Christmas holiday, but I most appreciate the connection between covering curriculum and the glamour of the holiday season. Kudos to the principal. Research shows the heightened euphoria in continuing to spread happiness and kindness when doing such caring acts for others. This is education… teaching these feelings and qualities. Thanks for the reminder that thus is needed.